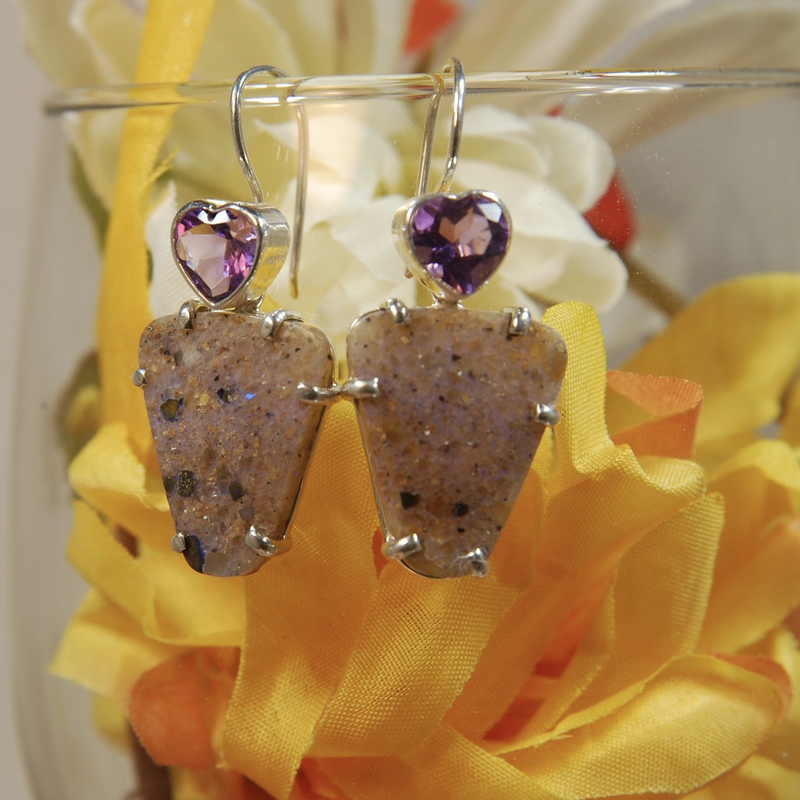 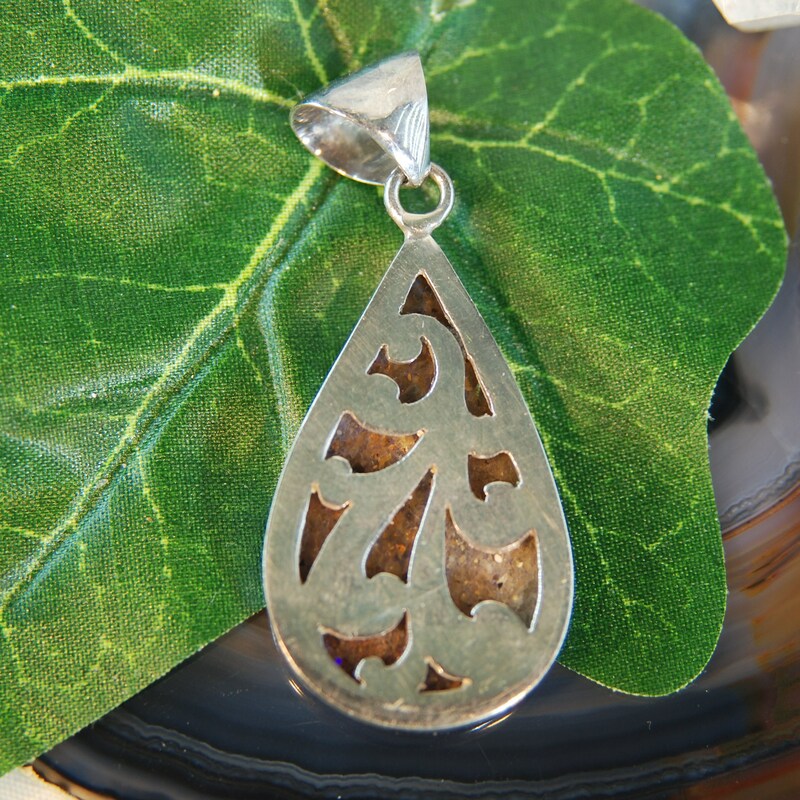 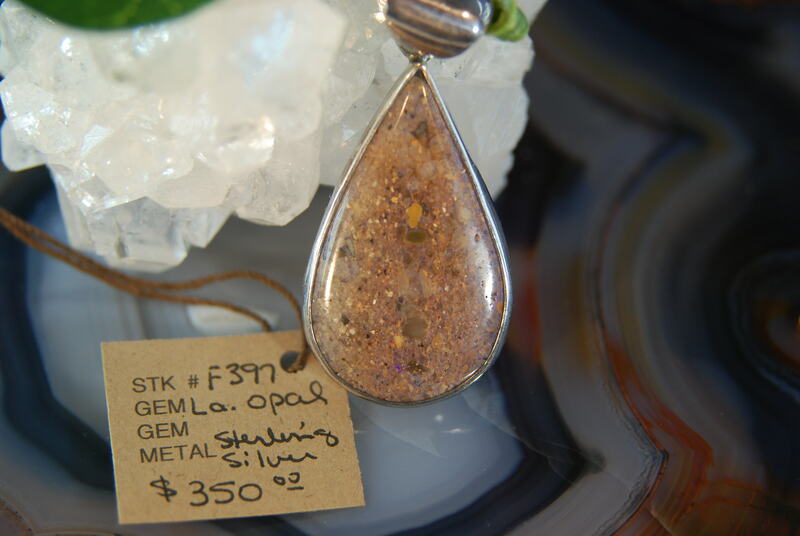 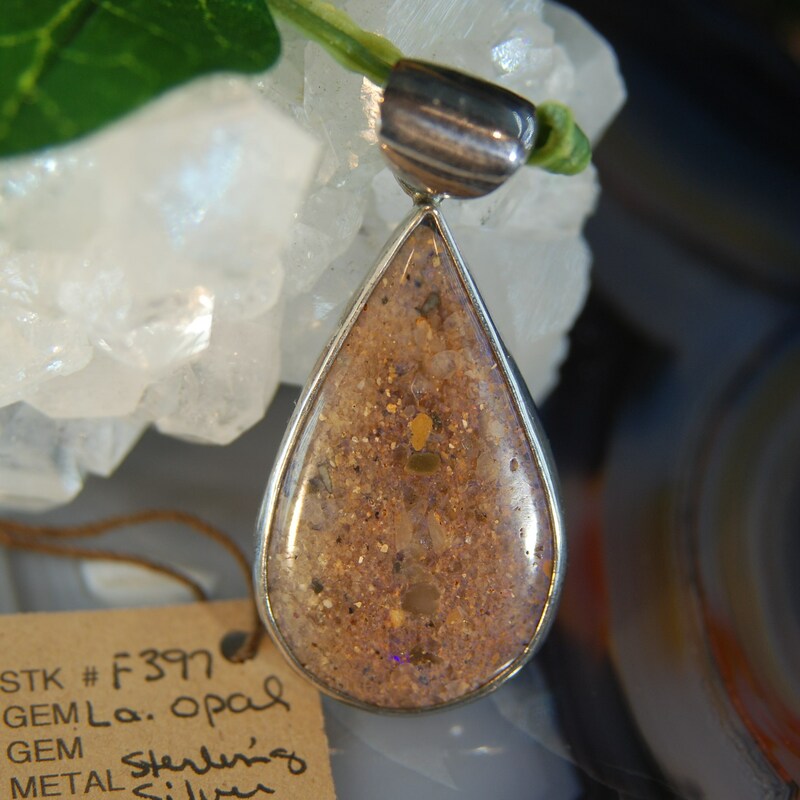 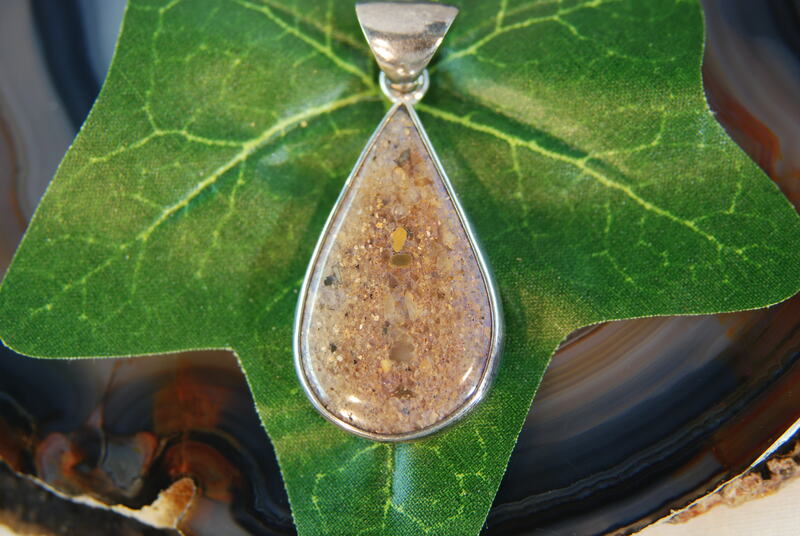 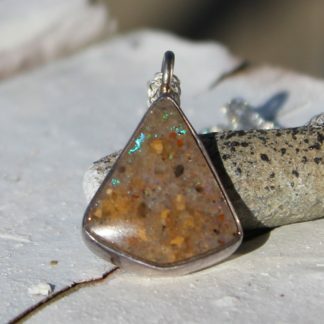 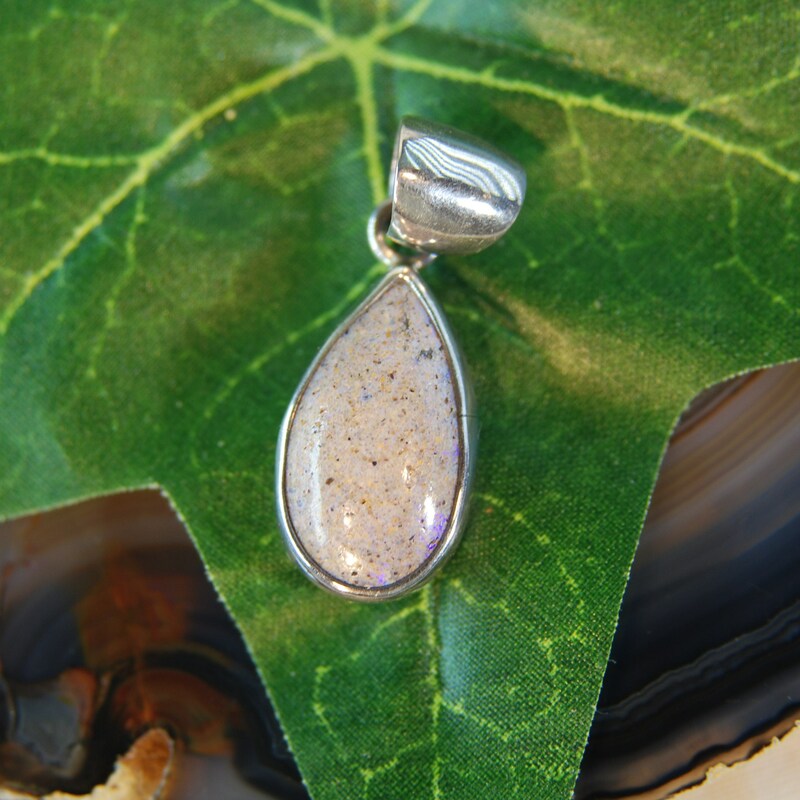 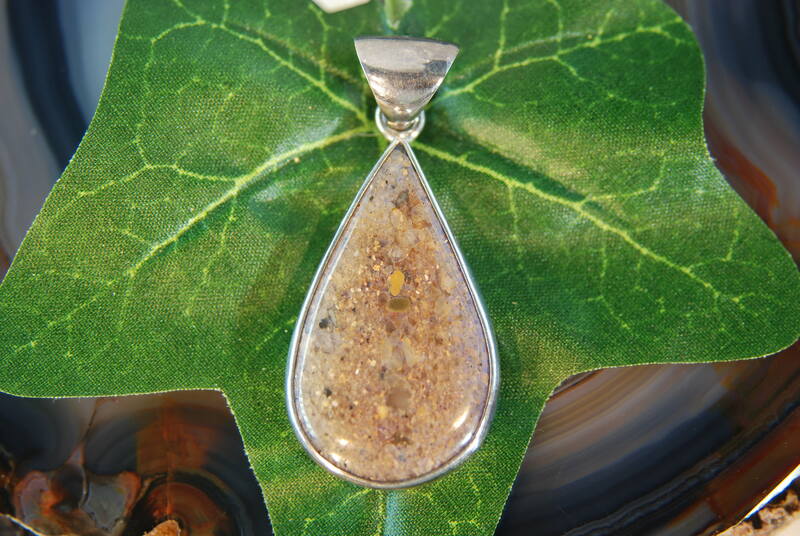 This large tear drop shaped Louisiana Opal stone has a brown sandstone base color with a jelly like appearance. 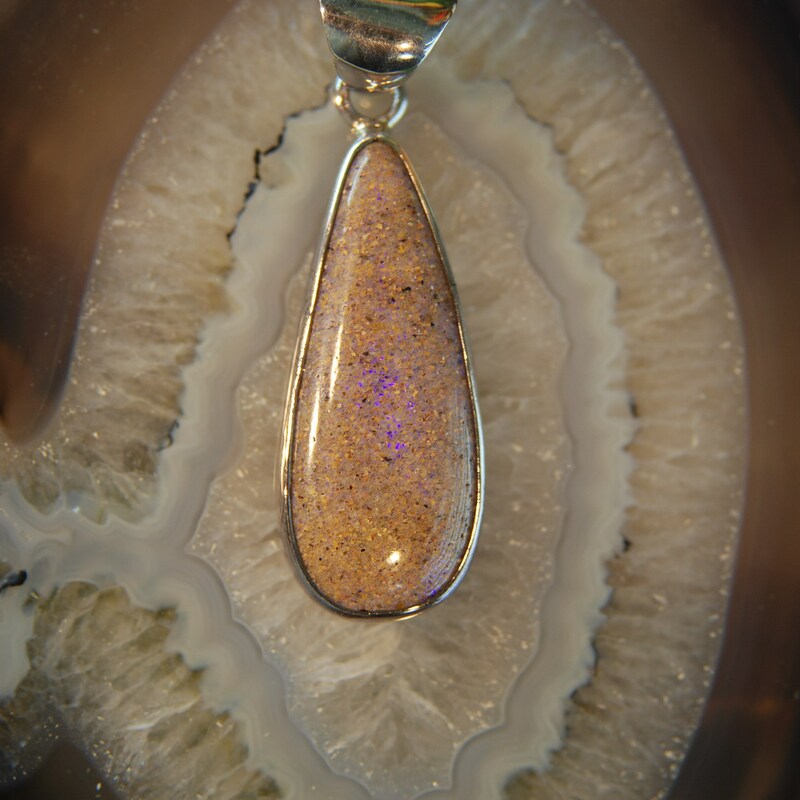 There is a radiant ‘purple glow’ fire that flashes on the surface. 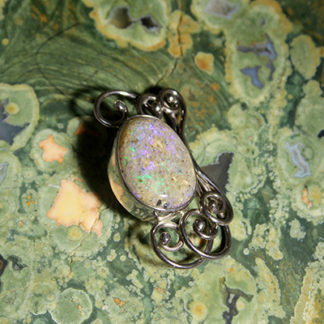 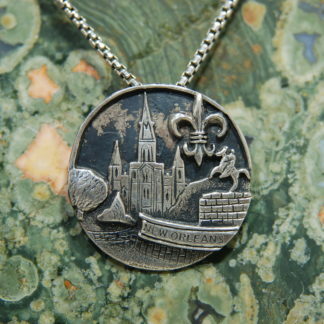 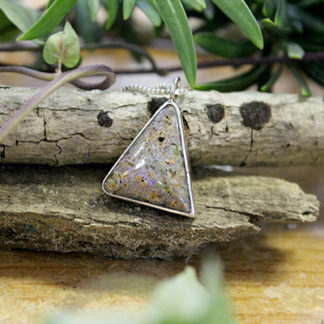 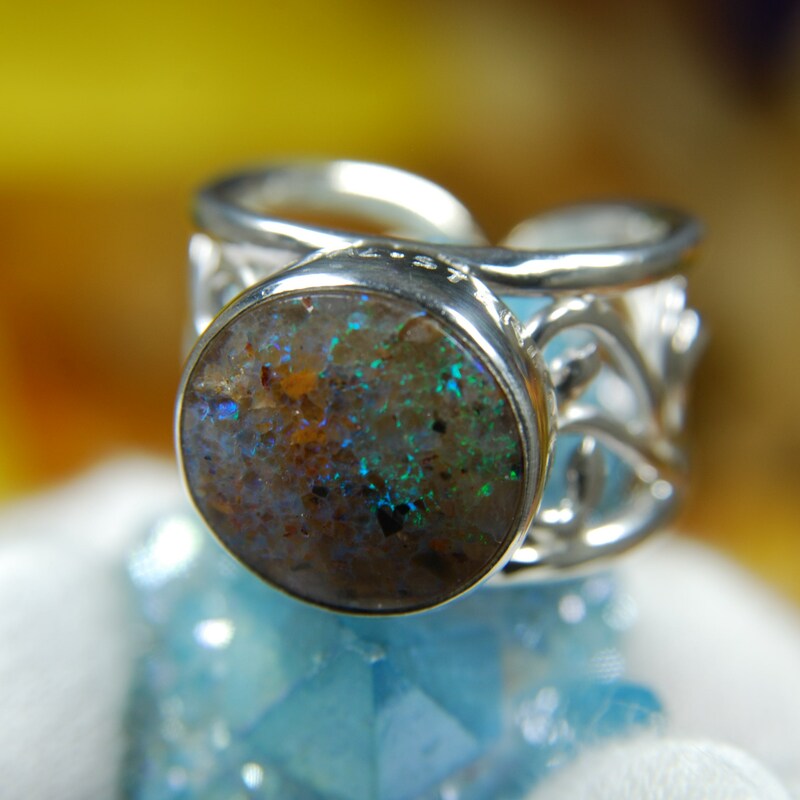 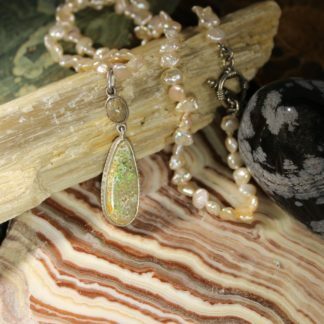 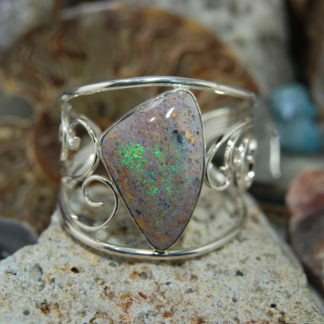 Opal is set in a sterling silver bezel mounting with a wide polished bale.